A leading waste management company has congratulated one of its industrial drivers for completing 30 years behind the wheel. Worcester-based Richard Hope joined CSG when he was 25 and says the years have just sped by. 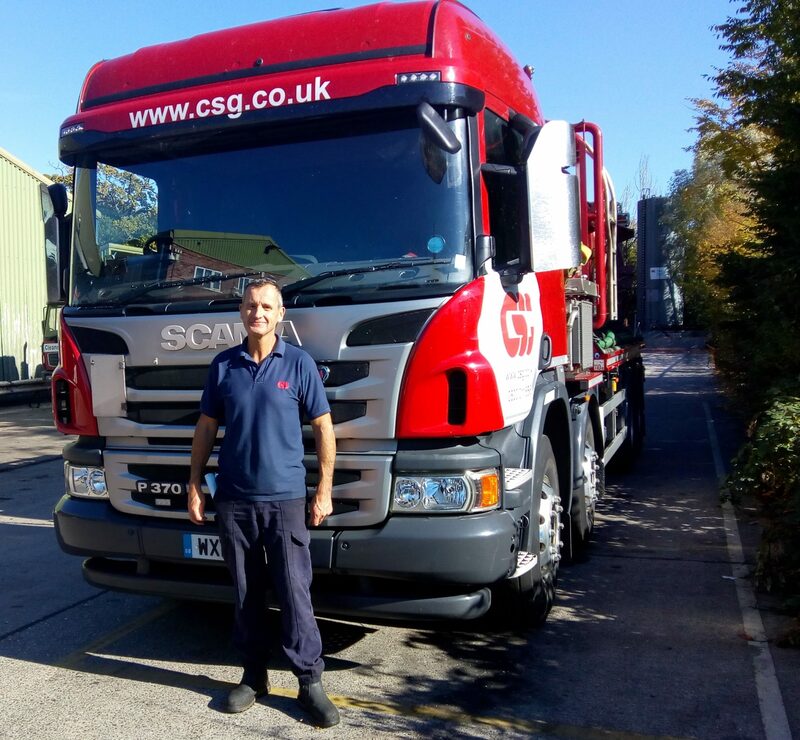 Richard, 55, joined CSG as a ‘spare man’ covering on any vehicle that needed a driver and has worked out of the company’s depots in Evesham and Pershore. He moved on to tankers and articulated vehicles and, in his role as an industrial driver, collects oily waste from engineering companies and factories. Regional business manager David Cashmore said: “As a company we feel it is important to reward loyalty, and 30 years’ service is a major milestone for anyone. “Richard has been a very reliable driver, always careful to follow current driving and health and safety laws and to represent CSG in a totally positive manner. Richard added: “I have seen a lot of change over 30 years, but the things that I like about the job haven’t changed at all. “I have a good rapport with my customers around the Gloucester and Worcester area, and they know that when I arrive the job will be done right. Away from work, petrolhead Richard swaps eight wheels for two as he owns four classic race bikes.